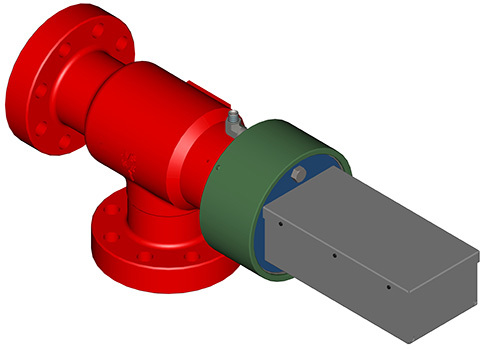 JVS designs & manufactures hydraulically actuated drilling chokes in accordance with API 16C. Hydraulically actuated drilling chokes used in choke & kill manifold. Standard sizes available 3 1/8", 3-1/16" and 4-1/16" with working pressures of 5000 psi, 10000 psi and 15000 psi having orifice size 2". Other sizes available upon request. All parts are suitable for H2S service and temperature rating L to X (-50 °F to 350 °F).